Djul'djul is the daughter of the famous Gaalpu clan artist Mithinarri Gurruwiwi. She is a very precise and knowledgeable wood carver and painter. Together with her sister Manany and brother Watjuku (deceased) they have inherited a lot of paintings knowledge and skill from their father. All three artists also share the same Gumatj mother, Duwambu Burarrwaŋa. 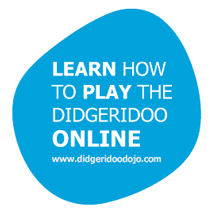 Djul'djul's husband is Burrŋupurrŋu (Bruce) Wunuŋmurra, a highly respected yiḏaki player and maker. She paints the yiḏaki he makes, often with Gaalpu clan designs from her own clan. These designs sometimes feature Wititj the olive python, djaykuŋ the file- snake and guḏurrku the brolga. At other times they are decorated with beautiful columns of diamonds, the sacred miny'tji belonging to the Dhaḻwaŋu clan, represenying the freshwater system where their creation ancestor Barama emerged from the water. Their yiḏaki are highly priced among collectors and players world-wide, being commonly referred to as some of the best works available. Djul'djul's carvings are now becoming sought after by dealers and collectors for their fine attention to detail. Recently she has been producing worrwurr (owls) in collaboration with her sister Manany. 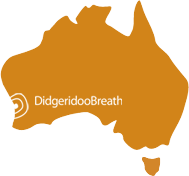 I was very impressed with my customer service experience with DidgeridooBreath recently when I purchased a Didgeridoo which was delivered as pictured and described. Sanshi was very helpful and responsive answering my questions before finally completing the purchase. Delivery was prompt and packaged well with no damage on arrival. Very impressed. Thanks Sanshi!